The market for Leather Footwear comprises town footwear, boots, sandals, and clogs with leather uppers for women, men and children. The worldwide revenue of US$184 billion in 2017 is expected to increase to US$207 billion by 2021. In this report, we analyze one segment of the constantly growing Footwear market. 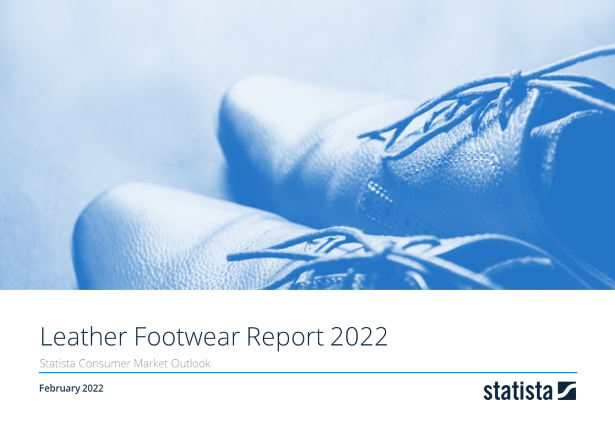 With revenues of more than US$344 billion, Footwear is the second most important fashion segment within the retail business just behind apparel. Key companies are Nike, Adidas, Ecco and Clarks. Just like the market for apparel, the Footwear market is currently shaped by a tremendous change in customers’ purchasing habits. The rise of eCommerce and new store concepts created by major sportswear manufacturers exert substantial pressure on stationary retail stores. Leather Footwear is the segment with the highest sales. With regard to growth, however, it is not as strong as the athletic footwear or sneakers markets. This report from the series of Consumer Market Outlook segment reports gives an overview of the Leather Footwear market from an international perspective. For more information on the topic, visit Consumer Market Outlook/Leather Footwear.